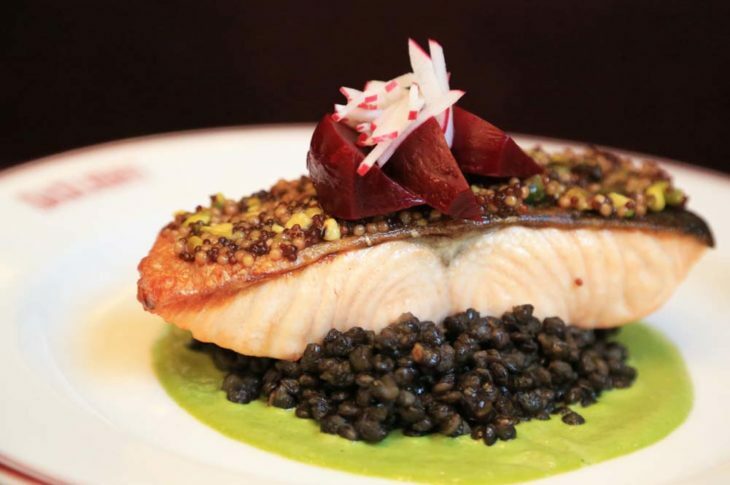 The South Ends quintessential neighborhood Brasserie is Gaslight, Brasserie du Coin, literally brasserie on the corner. 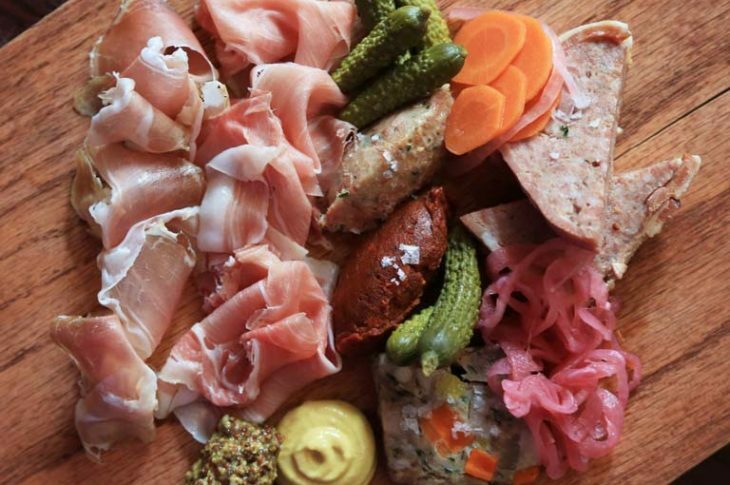 It is a sister restaurant to Aquitaine one of our favorites. At Gaslight you will discover a setting with a Parisian feel informal, old world touches with sparkly new touches. Upon entering you will find rich touches like the Parisian zinc bar, reclaimed wood floors, mosaic tiles, wood ceilings, antique mirrors on walls with a nice patina. 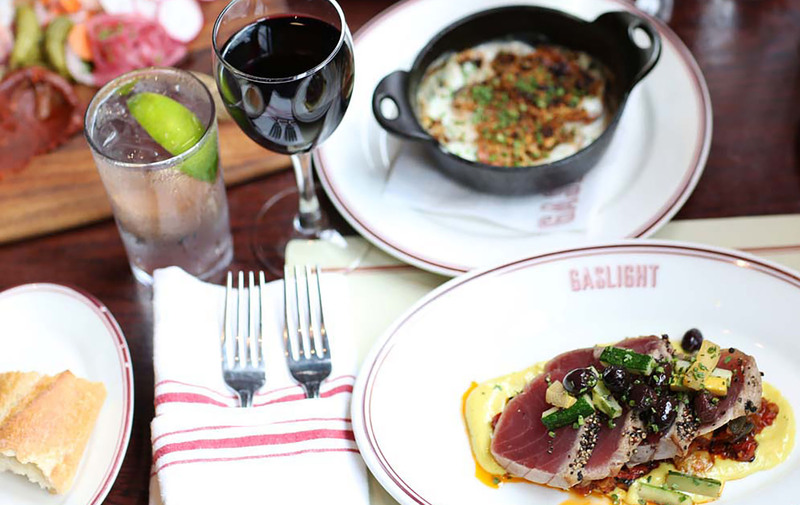 At Gaslight it is about being warm and inviting. The seating is compromised of a mix of café tables, communal tables, booths and banquettes. Though wherever you sit you can expect a whole, warm, crusty baguette to be presented to your table for munchie as you ponder your menu options. When it comes to French wine, we love their list which has over 20 wines by the glass, ½ carafe and carafe, not to mention an additional 120 selections on its reserve wine list. For food you will find French favorites, like Salade NIçoise, Steak Frites, Moules Frites or Duck Confit. Suitable for any occasion, even a great spot brunch too!